As part of the Entrepreneurship Ecosystem, we are happy to announce that CardioDiagnostics is being recognized by the President of the United States, as one of the top five global emerging startup companies. On Monday, May 11th 2015, Ziad Sankari, the Founder of CardioDiagnostics, will be attending an event at the White House, where he will be meeting with President Obama and Vice President Biden. The event will bring together the top emerging entrepreneurs and businessmen from around the world to create innovative solutions to some of the world's toughest challenges. CardioDiagnostics has been selected to represent the Healthcare sector. Members of the U.S Department of State as well as cast members of the famous Shark Tank series will be present at the event as speakers and to extend recognition and support to the selected startups. CardioDiagnostics team is thankful to all constituents of the Ecosystem who helped make the company's endeavor a success. WASHINGTON, DC – On Monday, May 11th, the White House will bring together emerging entrepreneurs from across the United States and around the world to highlight the importance of investing in women and young entrepreneurs to create innovative solutions to some of the world’s toughest challenges, including poverty, climate change, extremism, as well as access to education and healthcare. This event comes ahead of the President’s travel to this summer’s Global Entrepreneurship Summit in Kenya and provides a unique opportunity to galvanize global attention on emerging women and young entrepreneurs. The event will recognize the impact made by a number of U.S. government-led initiatives. In 2014, the Administration set a goal for its best entrepreneurship programs, now to be led under the umbrella of the Spark initiative, to generate over a billion dollars in private investment for emerging entrepreneurs by the end of 2017, with half of this goal to be raised for women and young entrepreneurs. The White House will name nine more top American entrepreneurs to be named as Presidential Ambassadors for Global Entrepreneurship to contribute to this goal. The world’s brightest entrepreneurs still require further support through the commitments and collaboration of governments, investors, businesses, organizations and individuals. The event will also recognize the creation of the Spark Global Entrepreneurship coalition to further these objectives. Speakers for the event will include five entrepreneurs from around the world and from various U.S. government programs, cast members of ABC’s TV series Shark Tank and other organizations. The event will be live streamed on the White House website. To watch this event live, visit www.whitehouse.gov/liveat 2:00 pm ET on May 11th. Additional details about the event will be made available in the coming days. Jimena Flórez is an entrepreneur in the agribusiness and food industry who founded Crispy Fruits in 2012. Her company was formed entirely by women entrepreneurs and is now operated by a majority of women. Crispy Fruit’s purpose is to design and develop healthy and functional products to meet consumers’ demand for a nutritious and balanced diet, and in the process, empower farmers. Her company is developing new products with natural ingredients to enhance people’s health. She started her business with the mission of increasing the quality of life for Colombian farmers by improving their access to technology and capacity building opportunities, and developing sustainable agricultural practices to produce higher quality products that garner fair trade prices. Through President Obama’s Women's Entrepreneurship in the Americas (WEAmericas) initiative, which leverages public-private partnerships to increase women’s economic participation, Jimena received mentorship and training, and access to new trade opportunities, which helped her expand her business. Through her company Crispy Fruits, Jimena empowers cacao farmers in Tumaco, a predominantly Afro-Colombian community, by building the capacity of farmers to adopt organic agricultural processes, secure organic certification and ultimately access direct trade opportunities. Originally from Mexico City, Felipe Gomez del Campo founded FGC Plasma Solutions in 2013 and is currently a junior at Case Western Reserve University. From a research project started at a high school science fair to launching it into a company, Felipe is focused on improving the safety and efficiency of jet engines with a plasma assisted fuel injector. Felipe’s research has found that his product can result in a 10 percent decrease in fuel consumption which will result in significant savings, reduce harmful gas emissions for both jet engines on airliners and industrial gas turbines used to generate power. As a recent recipient of a regional prize in the U.S. Department of Energy’s National Clean Energy Business Plan Competition, Felipe plans to further test and develop the injector at both the NASA Glenn Research Center. Felipe’s efforts to expand his business have benefited from an ecosystem of innovation, mentorship and capital. Felipe aspires to help set up a similar entrepreneurial ecosystem in Mexico as well to afford Mexican entrepreneurs the chance to develop their innovative ideas. Felipe also serves as President and co-founder of the Case Society of Hispanic Professional Engineers. Adepeju Jaiyeoba founded Mothers Delivery Kits in 2013, after losing a close friend to childbirth, to address maternal and child mortality resulting from unhygienic and unsafe deliveries in Nigeria. With the aim of economically empowering women and teaching behavioral changes in healthcare, her business connects women in rural communities to the lifesaving supplies they need at childbirth at an affordable cost. As a Mandela Washington Fellow for Young African Leaders (YALI), an initiative introduced by President Obama in 2013, Adepeju has been able to collaborate with other entrepreneurs, build employee capacity through YALI courses, and receive seed capital and mentorship from the U.S. African Development Foundation (USADF). She is currently partnering with another YALI Fellow in Cote d’Ivoire to develop a mobile application to improve communications capabilities, and working with a YALI Fellow in Ghana to begin to expand her business to Ghana. With the support of the USADF entrepreneurship grant, her business has doubled its distribution in the last four months and expanded its services to internally displaced victims of Boko Haram. The grant has also enabled the company to acquire new machinery, establish a storage facility in northern Nigeria to address transportation challenges, increase its Lagos-based staff, and reach nearly 80 community midwives and healthcare provider across 23 states in Nigeria. Adepeju hopes to expand her work and continue to mentor other young entrepreneurs with her passion for change. Aazia Mickens-Dessaso is the cofounder of FreePing, a software company launched in 2014 that provides free streams of utility information to prepaid mobile phone subscribers in emerging markets. Aazia developed the concept while observing the intersection of social movements and technology in Brazil as a U.S. Department of Education Foreign Languages and Area Studies Fellow. It was there that she discovered the benefits of easily-accessible information on personal and organizational productivity, and observed the ways Brazilians used their phones to interact without using prepaid credits. FreePing has been incubated by a Small Business Administration Growth Accelerator Fund Competition recipient, through which her business has received business acumen, access to capital, and mentorship. Currently, FreePing has a presence in Brazil, South Africa, and Kenya. As a young African American woman in the tech industry, Aazia has led efforts to connect underserved groups to programming and engage, inspire and celebrate women and minorities in entrepreneurship. She organized this year’s International Space Apps Challenge, the first her hometown organized in the challenge’s four-year history, to allow local coders to access NASA’s open data and solve the Agency’s mission-related challenges, and to encourage girls in STEM. Aazia seeks to give voice to a startup ecosystem that is reflective of the country’s rich demographic makeup to produce solutions and products. From Lebanon, Ziad Sankari started CardioDiagnostics in 2012. Ziad lost his father to a heart attack when he was seventeen and his family lacked access to proper healthcare. He decided to pursue his studies in understanding the electrical activity of the heart and how monitoring and analyzing that activity can save lives. Today, the company uses FDA-approved wearable devices that are 24/7 GPS-enabled heart rate monitors allowing for heart monitoring centers to communicate diagnostic and preventive information to patients in the United States, where the center has over 40 employees, and in Lebanon. In 2008, Ziad attended Ohio State University on a U.S. Fulbright scholarship. After returning to Lebanon, he was selected to pitch his idea at the 2011 Global Innovation through Science and Technology’s (GIST) Tech-I competition where he won first place. Through GIST, a U.S. Department of State funded initiative, Ziad received his first round of seed funding and traveled through various U.S. cities to expand his network, learn how to negotiate, and connect with mentors. Given his experiences, Ziad sees education as essential to successful entrepreneurship and to combat rising issues of poverty and extremism. He hopes to support other startups and build a high-performing educational system in Lebanon and throughout the Middle East that leverages U.S. expertise and connections to open a world of opportunities to younger generations. Editor's Note: This is the fifth story in a six-week series focused on women and work in patriarchal nations in the Middle East. Read other stories in the series. The Lebanese League for Women in Business is a scientific and cultural organization that holds regular conferences. The Smart Center is a Lebanese NGO that advocates against discrimination through media campaigns and workshops. Its website features a list of women leaders. Who Is She Lebanon is a database of Lebanese women experts. Women In Technology works to develop the professional skills and networking of women throughout the Middle East and North Africa. The Arab International Women’s Forum is an NGO that links Arab professional women with their international counterparts. Before recipe website, Shahiya, was snapped up by Japanese site, Cookpad, for $13.5m in 2014, the Beirut-based start-up had to explain itself over and over again. The mostly male investors needed to be swayed on more than just the usual. They needed to be convinced there was value in funding a company mainly used by housewives. Labaki said the fact that her two business partners are men probably went a long way towards convincing investors since men tend to be taken more seriously in the Middle East then women in business. Shahiya is a success story for a woman-led business in the Middle East. Its user base now has 3.5 million unique visitors per month, 40% of which are from Saudi Arabia. There are 15,000 published recipes, making it the largest Arabic language digital library for recipes. Lebanon’s relatively open society and economy mean women have had more opportunities here than elsewhere in the region. But, growing a business in the Middle East is never easy, particularly for women. Those who do succeed must meet the challenges of expanding their companies in to socially conservative countries — a step before expanding internationally — seek funding from largely male firms who are sometimes averse to dealing with women and find ways to make sure they are taken seriously by male colleagues. Connections, rather than creativity, smarts and technical skills, can make the difference between success and failure, with networking a key ingredient to growing a business, says Dima Dabbous, Beirut-based consultant on media and gender at the United Nations Educational, Scientific and Cultural Organisation. But that can be a challenge. Even in Lebanon women are often part of a small minority at their firms and like elsewhere in the world may not be invited to casual social functions outside of work. The few women’s networking groups that exist tend to be poorly-developed and not very active, Dabbous said. 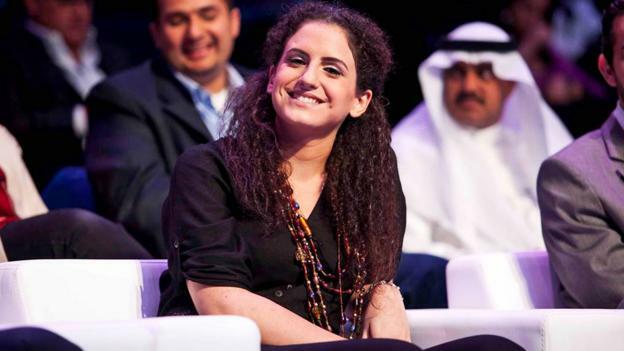 Five years ago, Hind Hobeika invented a pair of goggles that measured a swimmer’s heart rate and presented her invention on reality TV show, Stars of Science in Doha. Qatar is better known as an affluent energy state, but a fledgling IT and entrepreneur scene is now blossoming in the country. But until Hobeika won third place, the male hosts didn’t seem to want to appear on camera with her. In Hobeika’s case, her youthfulness also worked to her disadvantage. “People tend to take you less seriously when you’re young and a woman, especially the combination of the two,” said Hobeika, now 26. She currently splits her time between her native Beirut and the San Francisco area in the US developing her product and business. And she’s learning the nuances of running a business in the West versus the Middle East. For Beirut-based Maya Karanouh, CEO and co-founder of branding agency, TAGbrands, the most difficult aspects of growing her business when she launched it 15 years ago had little to do with being a woman. Instead, weak infrastructure in Lebanon and generally low levels of entrepreneurship in the Middle East were her biggest challenges. When she did expand her business into the Gulf nations, including Saudi Arabia, eight years ago, she actively took into account the cultural norms for women in these countries. She often jokes that wearing the abaya(full black covering that most Saudi women wear) made her lose her fashion sense for a few weeks. “I’m a feminist, but I’m also a business woman. I have to navigate around regulations,” she said. For the Saudis with whom she was doing business, being a woman didn’t matter, so long as her team got the job done. That might have been because she was an outsider; however, gains in the professional realm for the Kingdom’s female citizens remain slow. Karanouh said she does her own part to advance women in the region, making an effort to hire mothers and give them flexible working hours, acknowledging that not having a family of her own has been an advantage for her. Lebanese entrepreneur Rana Chmaitelly launched The Little Engineer, workshops to engage young people in science, in 2009. She now has operations in Lebanon, Qatar and Libya. She’d like to expand to the West, starting with the UK. Early on, one of her biggest challenges was getting her employees, a mix of men and women, to support her decision to grow. “Even if you take a decision, if you’re a women, they think you’re not right. It happens all the time. Maybe it’s the culture, but we can change it,” she said in a Skype interview at an airport during a layover in Chicago. There is still not much built-in support for women in business, but in recent years a handful of professional organisations have emerged, although they’re not yet very active. Even so, 35% of IT entrepreneurs in the Middle East are women, compared with 10% on a global scale, according to the data analytics benchmark website Startup Compass, a sign that women in the region are making inroads in traditionally male-dominated fields here. “Some people don’t accept change. But as an entrepreneur you can’t stagnate,” said Chmeitelly. BEIRUT: “I seem to have mislaid my speech, is there anyone in the tech hub who can help me with this?” What seemed like a genuine hiccup was revealed as a tech gimmick, as a small drone flew from the back of the audience with a package for British Ambassador toLebanon Tom Fletcher. The diplomat encouraged the country to embark on a revolution “not made with guns, but with innovation” at the official launch of the UK Lebanon Tech Hub, a two-year program backed by the Central Bank and the British government to boost the startup scene in Lebanon. Under its flagship International Accelerator program, global entrepreneurs and other experts will help 45 applicants develop growth plans with an aim to internationalize their operations. The 15 deemed most ready to compete globally will go on to attend a 10-month program in London, with opportunities to network, find talent, and develop overseas partnerships. The tech hub falls under the Central Bank’s Circular 331 initiative to boost local startups. Salameh added that the Capital Markets Authority was preparing a proposal for an electronic stock market linking banks, brokerages and other financial institutions, as well as external exchanges. The CMA would then grant an operating license to the private sector. “This is important for the knowledge economy, for the startups who are seeking an exit and do not want to be sold to another entity,” he said, adding it was hoping to set up the market by the year’s end. Some local startups have taken a more regional perspective while Lebanon gears up. “[Lebanon] is a small country so I’m not expecting a huge ecosystem,” said David El Achkar, who founded Bitcoin payment network Yellow Pay in January 2014. While he said funding was “not critical right now,” thanks to U.S. angel investors, he would welcome regional investment in the second round. Right now, “it’s important to get exposure as Bitcoin is this new technology,” Achkar said, also acknowledging the difficulty of buying Bitcoins in Lebanon in the first place. He has staff in Jordan, Dubai and Egypt, working to get merchants and consumers to adopt the platform. Karim Safieddine, who founded video-on-demand website Cinemoz in 2011, believes “the ecosystem is at a turning point: We’re now in the early stages of an actual industry in Lebanon,” he said, adding the hub’s launch had good timing. While Cinemoz is based in Beirut, “it’s not a Lebanese product; it caters to Arabic-speaking viewers,” Safieddine said, adding it was most realistic to achieve critical mass in Saudi Arabia and Egypt. 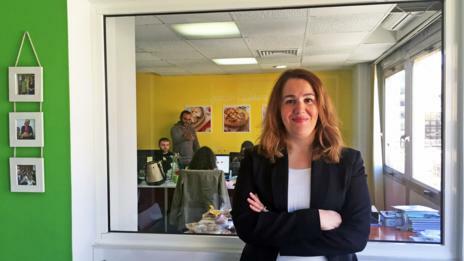 ServMe strategy executive Sarah Hawilo believes “it would be more motivating for startups [if there were] more initiatives in the ecosystem.” She cited Lebanon’s notoriously poor Internet as a challenge, though the predictive dining software, which began its operations six months ago, manages to evade it with the better connection at its Beirut Digital District office. Internet aside, the funding process is “very strenuous ... banks don’t have a basic understanding of what startups need,” she said, calling for greater collaboration between banks and the Central Bank to speed up the funding process. “You want to scale up quickly and sometimes finding the right talent in Lebanon is hard,” she added, given its smaller, less experienced pool of UX/UI developers and graphic designers. The tech hub will be based at new premises in the Beirut Digital District downtown, with a funky, narrow three-floor space with glass walls, blue neon-lit walls, and industrial staircases. Aside from the International Accelerator, the hub will run a capacity-building program offering workshops and master classes. It also plans to offer a signposting service to direct Lebanese tech companies to international contacts, workshops and other opportunities. An outreach program will work with schools in Lebanon to identity curriculum gaps, while a communications and marketing arm will promote Lebanese entrepreneurs internationally. A version of this article appeared in the print edition of The Daily Star on May 01, 2015, on page 4. Unknown to most American investors, a quiet tech revolution is building in the Middle East. And thanks to some recent generous developments (read: monetary backing), it’s picking up the pace. Now, it’s not about to knock Silicon Valley off the throne anytime soon… but it’s certainly modeling itself on the essential elements of the renowned Californian tech hub. Beirut-based Leap Ventures recently announced a new $71-million venture capital fund focused on the Middle East and North Africa (MENA) region. Further pushing the agenda of the tech ecosystem, Lebanon’s Central Bank promised to invest up to $400 million into the startup economy via its “Circular 331” initiative. There’s just one problem. His name is Abdel Menhem Youssef – a man whose policies could really bottleneck Beirut’s growth. He’s Chairman of the Board of Directors and General Manager of government-owned Ogero, the main operator “of the fixed telecommunications network in Lebanon for the benefit of the Lebanese Ministry of Telecommunications.” That includes telephone services, digital services, and the internet. He’s also the Director of Investments and Maintenance at the Telecommunications Ministry. Youssef has proven quite influential as a one-man army. But not in a good way. His immense influence poses a threat to all the pro-tech hub folks. For example, despite the thousands of people (politicians included) who attended Lebanon’s first international startup conference in late 2014, Banque du Liban Accelerate, he was not one of them. You’d think a guy like this would be one of the first ones in the door. So what’s his deal? In short, critics have deemed Youssef as either incompetent or an “idiot.” Take your pick. Right now, for example, he’s overseeing an average internet speed of 3.11 megabits per second (Mpbs) in Lebanon. That’s comically slow. To put that into perspective, its Middle Eastern neighbor, the United Arab Emirates, boasts an average speed of 27.9 Mbps. It makes no sense for Lebanon to sit on its hands, either. Studies show that Lebanon could improve its gross domestic product (GDP) by 0.6% if it doubled its bandwidth. A 0.6% GDP boost is decent for any country, but for Lebanon, it could really help an economy with a war on its doorstep, not to mention a refugee crisis. But with Youssef calling the shots, that’s not happening. In 2011, the country tried to improve the speed dilemma by connecting to the India-Middle East-Western Europe (IMEWE) maritime cable. But Youssef sabotaged that, too – managing to block the “utilization and distribution of the IMEWE and other cables that have been hooked up,” according to TechCrunch. Right now, of all the currently available internet cables, a shocking less than 10% is made available to the market. What Lebanon really needs are more E1 lines. They’re technically what give us internet bandwidth. Purchased on a monthly basis, they provide two Mpbs to each line. Now, you’d think that as the Director of Investments and Maintenance at the Telecommunications Ministry, Youssef shouldsupport the purchase of E1 lines to increase internet speed, while lowering costs for the citizens and internet providers (ISPs). But that’s not happening. As GM of Ogero, he shuts it down. He refuses to sell the E1 lines to ISPs for $420 per line. This forces ISPs to pay between $800 and $1,000 through private sector sellers. Why would Youssef want to do this? In other words, Youssef doesn’t want anyone dipping into his piggy bank. But this translates into expensive bills for citizens and slow-as-molasses internet speed for the very place that wants to become an up-and-coming tech hub! ISPs have lodged numerous complaints and implored Ogero to buy E1. Even the Ministry of Telecommunications has sent Youssef memorandums to that effect. But Ogero – or more specifically, Youssef – isn’t budging. Former Caretaker Telecommunications Minister, Nicolas Sehnaoui, has even accused Youssef of forcing the state treasury into a $500,000 loss every month, due to his intransigence. A couple of years ago, Lebanese citizens stormed social media with a campaign against Youssef’s faulty internet policies, using hashtags like #FreeTheBandwidth. The goal was to bring awareness of the situation to politicians, and prompt influential donors and lawmakers to end this illegal and unfair structure. But Youssef has still remained in control… and out of control. And since Boutros Harb took office as the Minister of Telecommunications in early 2014, he’s certainly had his hands full with Youssef. When Harb took office, he promised to slash internet and telephone rates. And while he’s successfully reduced local and international call rates by between 30% and 50%, the internet debacle remains… thanks to Youssef’s incompetence and stubborn policies. As long as Youssef is in office and continuing his shenanigans, it hampers Beirut’s ability to grow its technology sector, as well as its standing as a Middle East tech hub. The next nationwide elections in Lebanon won’t take place until June 2017… at which point, Youssef will hopefully be removed from his position of power. Meanwhile, banks, venture capitalists, and other influential figures continue to work towards making Beirut a new tech hub, and turning the region into the next Silicon Valley. It may not be tomorrow, but it’s coming! Standing on a podium in a carpark in a fast sweltering Beirut, the UK’s Ambassador to Lebanon, Tom Fletcher, announced that he had forgotten his speech and could someone bring it to him. Sure enough, in the spirit of the event he was attending, a drone (designed and manufactured in Lebanon) came flying to drop off his words. Launched today at its new premises in the Beirut Digital District, the latest initiative from Lebanon’s Circular 331, the UK Lebanon Tech Hub opened its doors. The UK government and Lebanese Central Bank (Banque du Liban, BDL) partnership will act as an accelerator and mentoring hub for Lebanese startups in the fields of knowledge economy, ICT and creative designs. Originally announced at the BDL Accelerator Conference in November 2014 the Tech Hub is said to be the result of many conversations between the British Ambassador Tom Fletcher and Riad Salameh, Governor of the Lebanese Central Bank. Under the umbrella of Circular 331, the BDL’s $400 million equity fund for startups, and the UK’s Trade and Investment department, the new accelerator is set to help Lebanese startups launch themselves onto a global platform during a six month stint in London. Never were steps so informative. Not exclusive to businesses just starting out, the Tech Hub doors are now open for applicants at all stages of their business. Participants will be chosen by a yet-to-be-established committee of Lebanese and British ecosystem experts. Come August the committee will announce its first selection of 45 teams who will then be mentored on how to develop their business plans; of these, 30 will be selected to receive a detailed diagnostic of why they were chosen, get feedback on how they might progress to the next stage in their business, and where they might find a good market fit. Finally, of that 30, 15 will graduate to the final stage, earning the opportunity to spend six months in the UK. While in the UK, the members of each company will be able to conduct product testing, access value chains, meet people who provide complementary products and services, and meet similar startups. As an accelerator they will provide funding for the startups to get them off the ground, but will not invest for equity. And once they are finished in London? “The one condition is that these companies provide jobs in Lebanon,” says Country Manager Nadim Zaazaa. 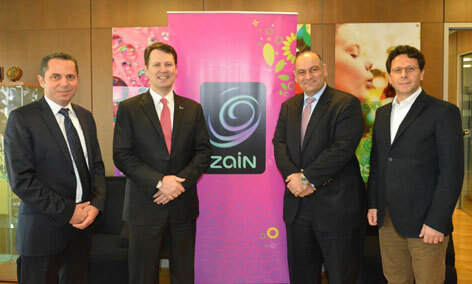 Returning to Lebanon the companies will continue their work and hopefully provide jobs within the local economy. London Calling. A presentation video about the UK Lebanon Tech Hub's aims. The UK, which enjoys an internet economy that rivals other European countries, and is considered to be the biggest in Europe, will be able to provide the startups with the resources and education that otherwise they might find very difficult to get in Lebanon. Lucy Knight is a freelance journalist and Wamda's English Editor. Connect with her on Twitter @LebanonLucy or email at lucy.knight [at] wamda [dot] com. A warm welcome to Jessica Semaan - founder and CEO of The Passion Company, a movement that inspires and enables people to do what they love, through community, education and action. Jessica is in the process of launching her book, 101 Passion Stories, profiling stories of 100 people doing what they love full-time. Born and raised in Lebanon, Jessica attended Stanford Business School before joining Airbnb as an early employee where she held leadership roles in Operations and Hospitality. Press here for complete newsletter. Middle East Venture Partners (MEVP) announced on the 19thof April 2015 the first closing of Middle East Venture Fund II (MEVF II) at $15M. MEVF II, MEVP’s 4th fund, will mostly invest in the region’s web and mobile businesses. MEVF II aims to raise another $15M and to close in the second quarter of 2015. This has raised MEVP’s assets under management to $100M and soon to more than $115M. MEVP is proud to announce the final closing of its Impact Fund at $70M in total commitments from 16 banks. The Impact Fund has so far screened over 150 startups, and invested $15M in 6 promising Lebanese companies: Mobinets, Fuel Powered, Fadel Partners, Klangoo, Bookwitty, Scriptr and Box Automation Solutions (BAS). The Impact Fund additionally invested in SpEED @BDD, a startup accelerator program resulting from a collaborative effort between MEVP, Berytech, Bader and LFE (see next section for more details) Congratulations to the Shahiya team! Cookpad, Japan’s largest recipe site and 2nd largest globally, completed on the 28th of January 2015 the full acquisiton of Netsila, the holding company that owns the leading Arabic recipe website Shahiya.com, for a sum of $13.5M. MEVP invested in Shahiya back in 2012 and exited at a cash-on-cash multiple of 6x and a realized IRR of 130% Exit signing ceremony. SpEED @BDD is a start-up incubator and accelerator program based in Lebanon that focuses on early stage high-impact technology sectors. Its main mission is to foster innovation and create jobs in Lebanon. Mohamad joined MEVP as an Associate Director based in the Dubai office. He is co-founder of KuroBase, Droid Shield and Sphere Networks. Mohamed additionally held the positions of board adviser at Piranha Byte and Head of R&D and PLM at Edgecore Networks. Mohamed holds a Bachelor of Computer Science from the University of the Pacific. MEVP participated in Arabnet Beirut 2015! Ramy joined MEVP as Senior Associate based In the Dubai office. Ramy is founder and CEO of Friendshppr and previously worked at Laimoon, HoneyBee Tech Ventures, Zawya and MBB Group. Ramy holds a Bachelors in Business Administration from the University of California. MEVP participated in BDL Accelerate 2014! MEVP was thrilled to participate in November in Lebanon’s first international startup conference which brought together a record 1,600+ entrepreneurs, investors, and professionals from 25 countries around the globe. MEVP participated with a stand, a workshop and by being part of the VC panel. Marissa Mayer, Yahoo’s chief executive, announced a major reorganization of the company’s product teams on Friday, promoting the head of one recently acquired company and effectively demoting the chief of another. Under the new structure, Simon Khalaf, the Internet company’s data-spouting prophet of mobile, will become a senior vice president and oversee many of the company’s consumer-facing products, including the Yahoo home page, its portals devoted to themes like sports and movies, and related Yahoo apps. Mr. Khalaf joined Yahoo in July when it bought his mobile analytics company, Flurry, for about $300 million. Flurry, which offers data and advertising services to mobile app developers, has since become the core of Yahoo’s efforts to compete with Google, Facebook and Twitter to persuade developers to use its tools. Mr. Khalaf, a rapid-fire speaker with a knack for presenting complex information simply and clearly, has become a crucial Yahoo ambassador to the outside world and played a starring role atYahoo’s recent mobile developer conference. As part of the reorganization, the blogging platform Tumblr and its chief executive, David Karp, will report to Mr. Khalaf, according to an internal announcement made at Yahoo Friday morning. Although Mr. Karp will remain part of the executive team, he will no longer report directly to Ms. Mayer, which he has done since he sold Tumblr to Yahoo for $1.1 billion in 2013. The move reflects Tumblr’s struggles to broaden its appeal beyond its core audience of of artists, teenagers and 20somethings looking for a platform to express themselves. Tumblr has served as the technology behind Yahoo’s digital magazines, but it has faced challenges in luring advertising. Tumblr’s top ad executive, Lee Brown, recently left the company and joined BuzzFeed after Yahoo integrated Tumblr’s ad sales with Yahoo’s. Two other executives are also taking on different roles. Adam Cahan, who spearheaded Ms. Mayer’s crash effort to remake Yahoo as a mobile contender, will now oversee the company’s video efforts. Like other big Internet companies, Yahoo sees how eager mobile users are to watch video, and it is trying to figure out how to serve those desires and make money from them. Mr. Cahan, a trusted lieutenant to Ms. Mayer, will also focus on user interface and product design, a topic that Ms. Mayer takes special interest in. Jeff Bonforte, who leads the company’s e-mail and messaging products, will now supervise mobile apps in those areas. 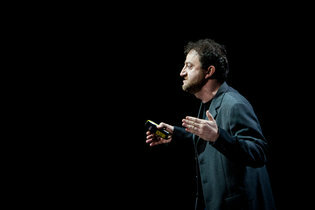 He will also oversee Flickr, the company’s photo-sharing service. The tech news site The Information first reported many of the changes in an article this week. BEIRUT: Lebanese startup companies have benefited in recent years from an increasingly supportive ecosystem driven mainly by the Central Bank’s determination to foster a knowledge-based economy. Thanks to Central Bank Circular 331 as much as $400 million of equity investments are up for grabs today. However, not all startups are finding it easy to secure funding. The majority of venture capital funds that have recently set up shop in Lebanon are focused on later-stage financing, leaving early stage startups struggling to secure equity investments. Endeavor Lebanon, a nonprofit organization that is part of a global network of business leaders and mentor entrepreneurs, is trying to bridge that gap, its Managing Director Tarek Sadi told The Daily Star. To achieve this goal, Endeavor Lebanon organized last December the Global Lebanese Entrepreneurs and Investors Summit, a forum that brought together local entrepreneurs and over 300 expatriate Lebanese investors and business executives. The forum, held in partnership with the Lebanese International Finance Executives, provided a platform for dialogue between local entrepreneurs and the Lebanese diaspora. By connecting local entrepreneurs with leading Lebanese investors abroad, Endeavor hopes to help early-stage companies in Lebanon secure funding, Sadi said. The Global Lebanese Entrepreneurs and Investors Summit attracted equity investors from the world’s major financial centers including New York, London, Paris, Geneva, Singapore and Dubai. Sadi said the event generated positive feedback from participants, underscoring that many have expressed interest in investing in Lebanese startup companies. “Very interesting high-growth businesses in Lebanon, we would be willing to invest in these companies and help them grow,” read one of the anonymous feedback cards collected following the event. Local entrepreneurs, on the other hand, were also excited about the prospects of securing funding. Sadi said the summit has given birth to an investor network that creates the missing connections and bridges the gap between local talent and expatriate investors who care about reviving the country’s economy and help it grow. “We wanted to capitalize on their keen interest, capabilities and international experience to transform the entrepreneurial sector in Lebanon,” he said. The summit was not Endeavor’s sole initiative to support entrepreneurs last year. Endeavor organized in November “Ignite,” an event aimed at connecting startup owners with potential clients. The first-of-its-kind event held in Beirut allowed entrepreneurs to directly pitch their products to 10 local banks and an equal number of real estate developers. Sadi said the event was aimed at providing local entrepreneurs with the opportunity to build a successful local portfolio. Without one, it would be difficult for Lebanese entrepreneurs to access foreign markets. Energy24, a company which developed a new energy technology allowing the storage of large amounts of electric energy into a new type of battery to power residential, commercial or industrial buildings during long power outages, was one of the participants at the Ignite event. Endeavor followed up a few months later on the progress made by participants in their bid to secure contracts with real estate developers and leading banks. E24, for instance, was “already discussing with some of them [real estate developers] the possibility to install the first ‘energy to the building unit,’” the company said in feedback recently collected by Endeavor. “Ignite helped us start a conversation with real estate developer companies, which we wanted to approach to introduce E24 to assess their interest and to secure our first installation,” the company added. While it is important that some of the entrepreneurs manage to sell their products, the feedback that Endeavor collected from industry leaders was equally important, Sadi said. “It helps us understand why some entrepreneurs failed to win contracts and how they should improve their offerings to meet the needs of large Lebanese corporations and consequently secure contracts,” he said. Endeavor will be organizing in December another investor summit to further expand the Lebanese investors’ network and attract additional funding to Lebanon, Sadi said. A version of this article appeared in the print edition of The Daily Star on March 30, 2015, on page 15. BEIRUT: Regional startup accelerator Flat6Labs is launching a tech program in Beirut, co-founder Hany El-Sonbaty announced during the sixth ArabNet technology conference at the Hilton Habtoor Wednesday. “Over the span of the upcoming five years, Flat6Labs Beirut will support, nurture and invest in over 100 budding high-quality companies,” Ramez Mohamed, CEO of Flat6Labs, said. The new Flat6Labs accelerator program will provide startups with $30,000 to $50,000 of “seed money” in exchange for approximately 10 to 15 percent of equity in the company. It will then provide four to six months of training and guidance, with the goal of securing further funding. Beirut will be Flat6Labs’ fourth accelerator program in the region, adding to their current locations in Cairo, Jeddah and Abu Dhabi. The launch date is yet to be set, but Flat6Labs business analyst Alexandre Hawath said they hope to be at least accepting applications by the end of the year. The regional accelerator program partnered with ArabNet to launch their Beirut initiative. Omar Christidis, CEO of ArabNet, views accelerator programs as a vital ingredient to the growth of Lebanon’s startup industry. “There are very few entities willing to give you $100,000 to start off your idea,” he added. The ArabNet conference is also used as a platform to connect entrepreneurs to accelerator programs and venture capitalists. The three-day conference features a range of guest speakers and panel discussions from across the region on different topics related to the startup industry in the Middle East. Christidis said there has been a notable growth in the interest of the private sector since the conference’s inception. He attributes a large part of this to Circular 331, issued by Lebanon’s Central Bank last year. Circular 331 is a program that puts up to $400 million worth of funds from commercial banks at the disposal of startups. It was met with great excitement by the banking and startup communities and has already led to the creation of three venture capital funds. While there is an abundance of funding available, Flat6Labs may become the first accelerator program in Lebanon. It differs from institutions such as Berytech, which has long been established in Lebanon and provides services to help startups grow, in that Flat6Labs provides all of its startups seed funding. Berytech is considered an incubator. Speed is another accelerator program that is set to launch in Lebanon in the near future, although it is also yet to set a launch date. Speed was set up by the founders of Berytech, along with many different partners. The U.K./Lebanon Tech Hub, a program set up by the British Embassy in Lebanon, contains an accelerator component. However, it is mainly for accelerating established startups in the U.K. to help them reach European markets. Despite the lack of ground-up support, there have some notable success stories in Lebanon’s startup industry over the past year. 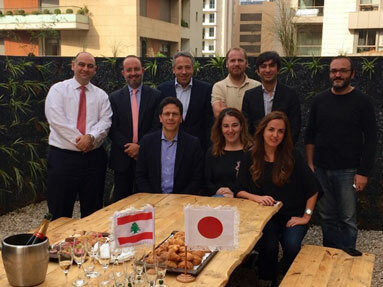 Lebanese startup Shahiya was acquired by Japan’s largest recipe portal Cookbook last year for $13.5 million, a landmark deal in the Arab world. Web media company Diwanee also sold a 50 to 60 percent share of its company to Webedia for $12-16 million. Daniel Neuwirth, co-founder of Shahiya, said that accelerator programs could help in keeping young talented Lebanese from leaving the country and searching for opportunities elsewhere.